Susan Schneider of the University of Pennsylvania is one of the few thinkers—outside the realm of science fiction— that have considered the notion that artificial intelligence is already out there, and has been for eons. 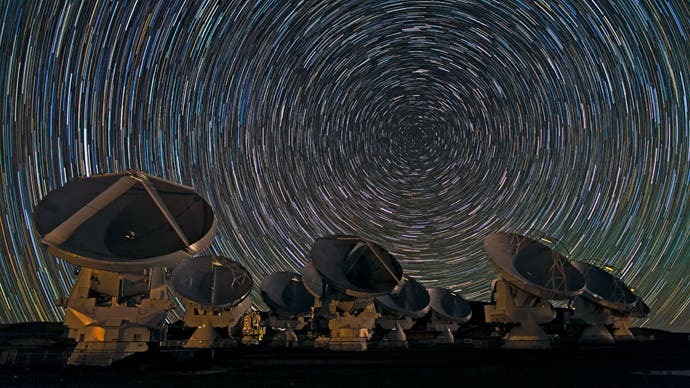 Search for Extraterrstrial Intelligence (SETI) programs have been searching for biological life. Our culture has long depicted aliens as humanoid creatures with small, pointy chins, massive eyes, and large heads, apparently to house brains that are larger than ours. Paradigmatically, they are “little green men.” While we are aware that our culture is anthropomorphizing, Schneider imagines that her suggestion that aliens are supercomputers may strike us as far-fetched. So what is her rationale for the view that most intelligent alien civilizations will have members that are superintelligent AI? Today's 'Galaxy' Insight –"The Dominant Intelligence in the Universe May Be Non-Biological"